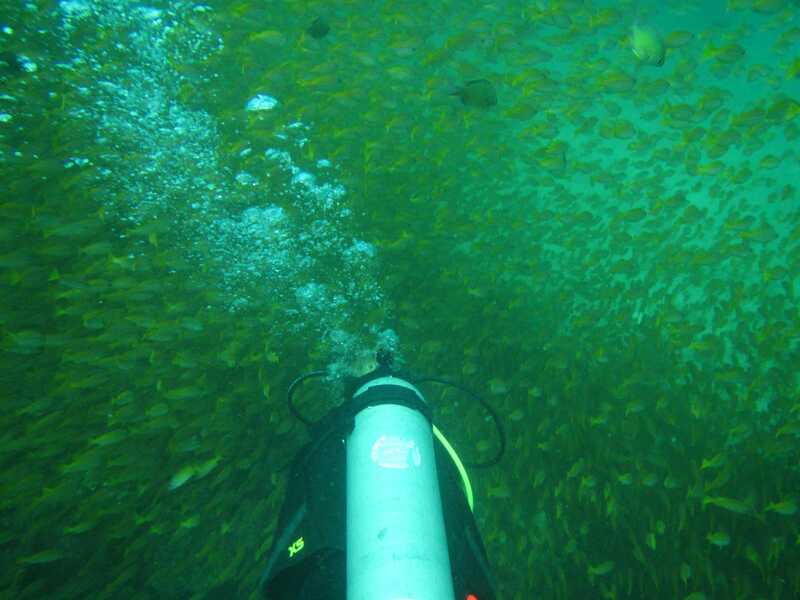 Recently, I had the wonderful opportunity to explore the Phi Phi Islands and dive into the wonderful world of scuba. Whenever I get to venture off into the world, I always look forward to trying something different and scuba diving was definitely on my list of thing to do. It was an amazing experience and one I certainly recommend for the individual seeking adventure! I fell in love with the world under the sea, more so than I did before. I have always had this 'fear', you may call it, of what dwells in the ocean and what may lie underneath your feet once you place them on the sand. 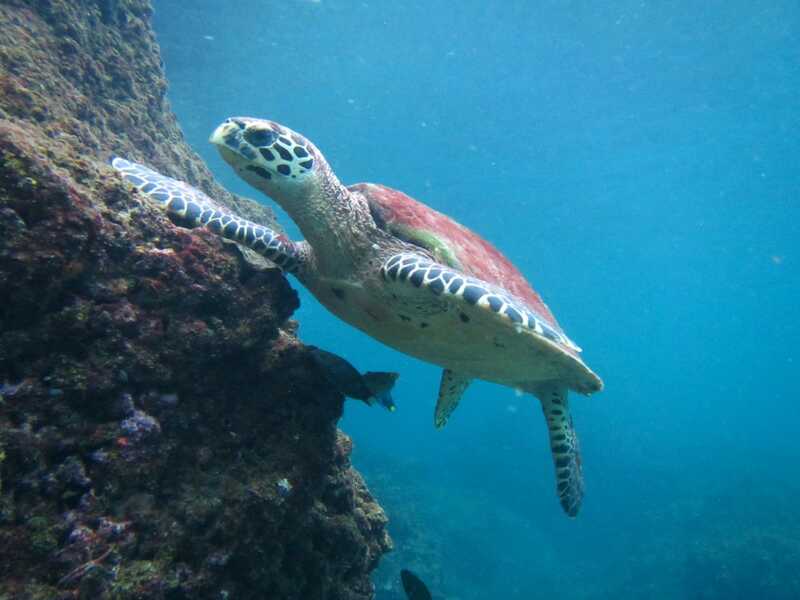 But, coming to Thailand and having my first ever chance to explore a small fraction of the sea, helped me overcome my fear and enjoy the moment like anyone should. During my dive, I saw a wonderful variety of sea life and even built up the courage to surround myself in a large school of fish that were happy to just swim around me, continuing with their day to day life. 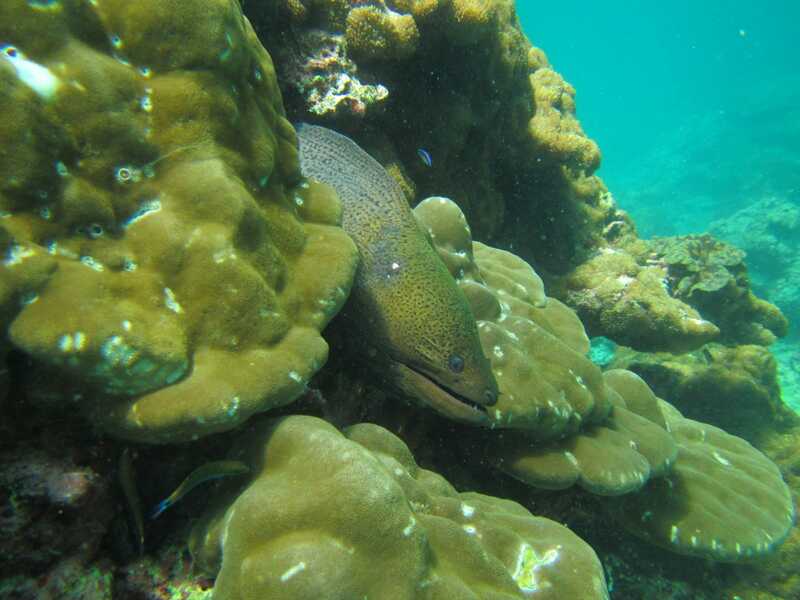 I got to see an eel, scorpion fish, lion fish and best of all, two sea turtles. That in itself, was beautiful and breathtaking phenomenon to witness. If you ever do get to travel to the Phi Phi Islands, which I would consider venturing off to again, on the Eastern coastal line of the island, there is a scuba diving centre I highly recommend for anyone who would like to try it for the first time. Black Tip Scuba is run by two very friendly instructors who supported and encouraged us every step of the way. A 'Discover Scuba' package is a beginner course suggested to anyone who has never done the activity before and is offered to all scuba centres worldwide. The package takes up the majority of the day and consists of warm up routine where they run through the health and safety aspects of scuba diving in their centre swimming pool. Here, you practice breathing through your tank, swimming with your fins and understanding precautionary measures that may need to be taken if for example, you run out of air. After your morning session, you gear up (which is provided for you for anyone who is asking), and begin your journey by clambering clumsily onto the boat with your air tanks strapped to you and your flippers at hand. That was fun. Surprisingly quite heavy. 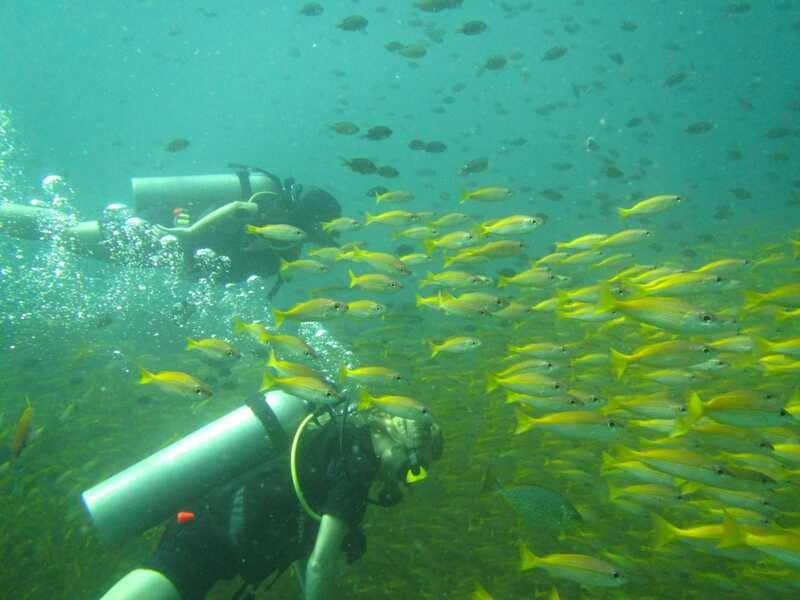 The Phi Phi Island is a great choice for first time divers because of its natural beauty and amazing weather. We sailed off to smaller beautiful islands and stopped by a cliff for our first dive. 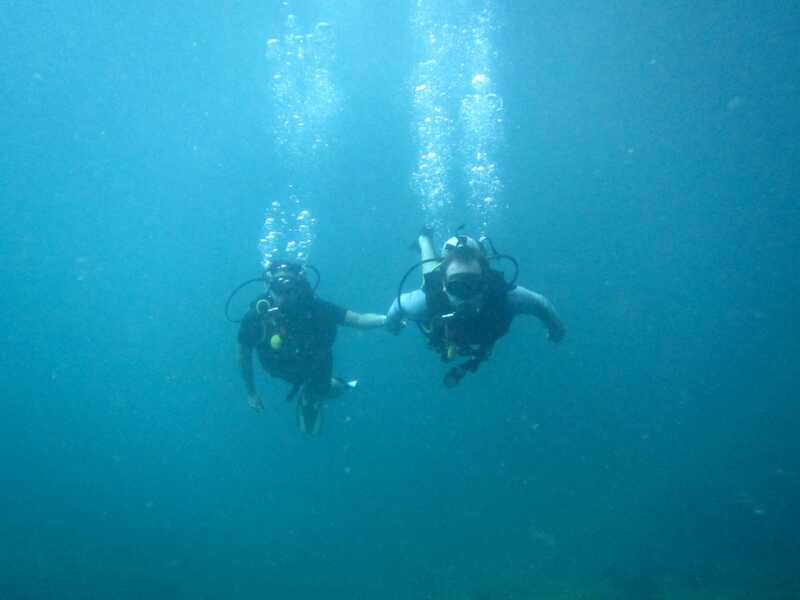 In the 'Discover Scuba' package, you get two dives. The first lasts for about 35 mins and afterwards, we were then taken to a little beach where we were given lunch and snorkel masks to do a bit more exploring. Once done, we sailed off to another secluded location and were off to the second dive. This time, the dive is a little longer, approx 45 mins, and just as full of life. Eventually, sadly, the day had to end. On the boat back to the shore, I could not help feeling a sense of euphoria and overwhelming love for the ocean. More than ever, I now am extremely cautious of the health of the world and it saddens me greatly to see the lack of care the majority of people have when it comes to the disposal of their waste. For a life changing experience, dive into the sea and see for yourself. I really cannot wait for another chance at scuba diving and I am even looking into getting myself qualified. 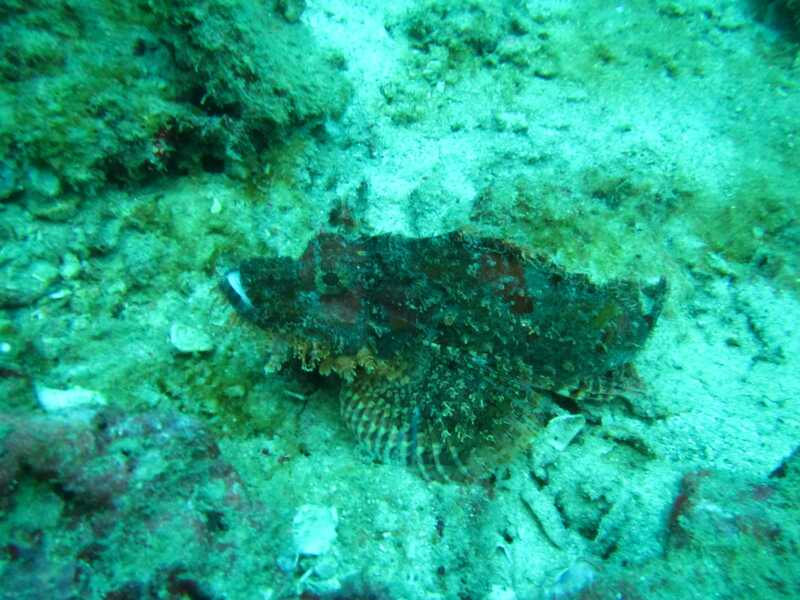 Again, if you decide to go on holiday nearby a great scuba destination, you should go out there and try it!